After less than a year of running inactivity, I’m ready to get back on the pavement, starting with tomorrow’s George Washington Bridge Challenge 5K/10K. 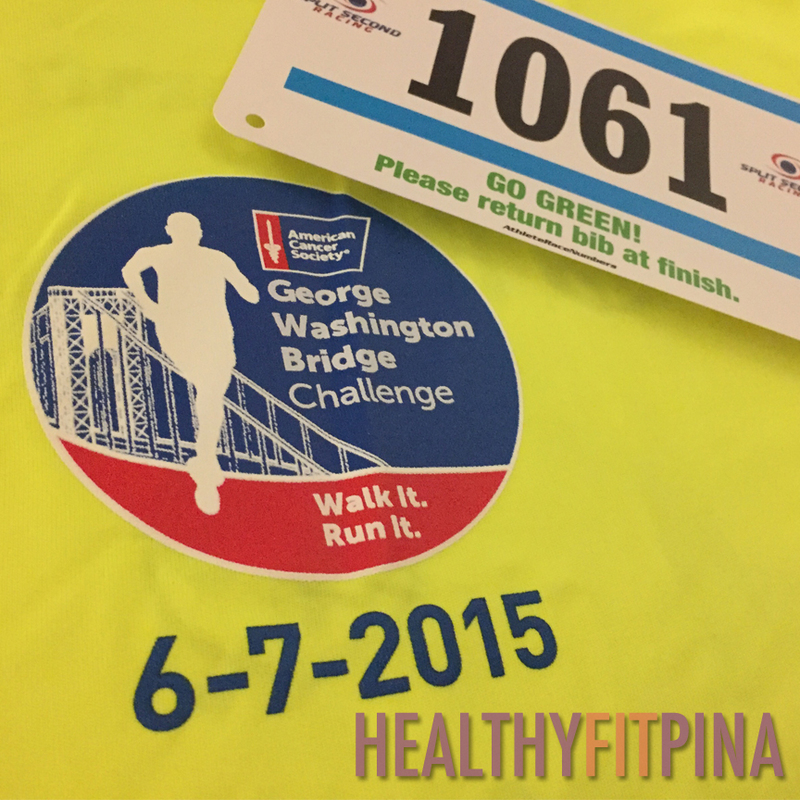 I’ll be running my first race in 2015 — a 10K in support of the American Cancer Society. I’m very excited about this event because the training and my weight loss has helped me prepare for this race, as well as doing it for a great cause. I started running about 3.5 years ago because one item on my bucket list is to run the NYC Marathon (still haven’t accomplished it yet). Since then, I’ve been doing 5Ks, 10Ks, Half Marathons, beach runs, as well as my first full Marathon in Atlantic City two years ago. 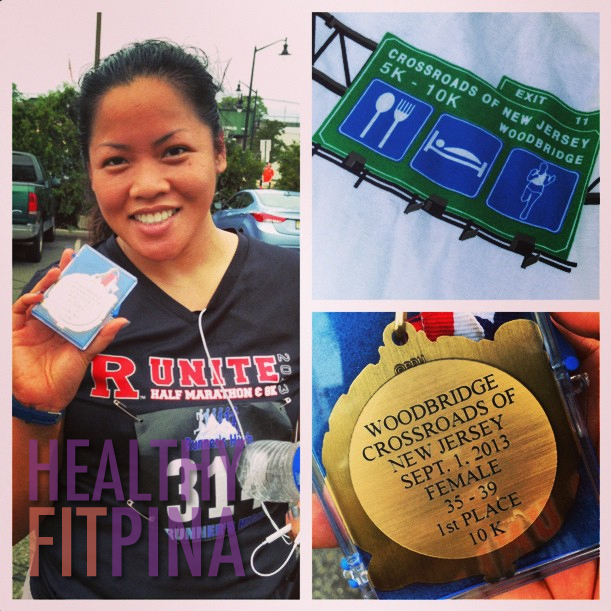 After running the Nike Women’s Half Marathon in Washington, D.C. back in March 2014, I stopped training due to laziness and work and business obligations. I still worked out, but it was inconsistent. After a workout, I would eat whatever I want because I felt that I “deserved” those treats. The inconsistency and lack of training caused me to gain about 20 lbs. in nine months. Now 16 lbs. lighter (so far), my goal is to complete the 10k without feeling tired — and to not get those bagels at the finish line!